The suburb of Maribyrnong offers a green environment to residents conducive to relaxing and enjoying a slow-paced and peaceful lifestyle. Situated 8 kilometers northwest of the Central Business District, the area is part of the City of Maribyrnong with a population of 10,165 as of 2011. The number of residents is expected to exceed 30,000 by 2031. For more than a century, the large tracts of land in the area became the headquarters of the Department of Defence which manufactured ammunitions and weapons. About 20 years ago, the suburb’s environment changed and the Maribyrnong River and its banks were cleaned up while the main shopping center was expanded and redeveloped. The site of the former Footscray ammunition factory is now occupied by the Edgewater Estate of Delfin Lend Lease. The suburb of Maribyrnong has access to six large parks. These include the Maribyrnong Park, Coulston Gardens, Henry Turner Reserve, Footscray Park, Pipemakers Park and the Robert Barrett Reserve which span an estimated 30 acres of open space. Most of them are located near the Maribyrnong River from where the suburb takes its name. Residents of the suburb are a mix of various nationalities. They include the English, Chinese, Vietnamese, Australians, Italians and Indians. Of the total population, only 45.5 percent speak English at home. The others speak Vietnamese, Cantonese, Mandarin, Italian and Spanish. 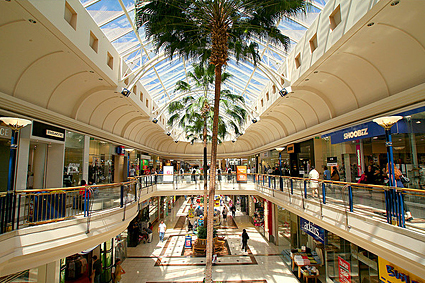 Business-wise, Maribyrnong is home to one of the largest shopping centers in Australia known as the Highpoint Shopping Centre. While no trains run through the suburb, people residing in the suburb can still take public transportation via the tram and buses. Routes 57 and 82 provides public transport to the area. The buses, meanwhile, run through Maribyrnong with many of them stopping at Highpoint Shopping Centre. These bus lines includes the 215, 223, 406 to 409 and 468. Melbourne’s first orbital bus line SmartBus route 903 also services the northern part of the suburb. Those who love to walk and bike can take the Maribyrnong River Trail and other trails that link to other suburbs. 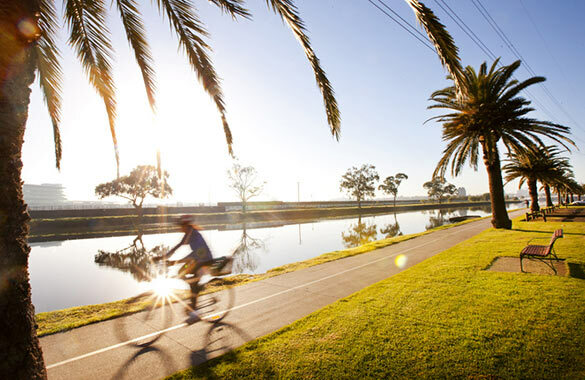 The Maribyrnong River boasts 19 kilometers of walking and cycling trails along its banks. From the suburb, people can bike or walk 14 kilometers upstream or five kilometers downstream.